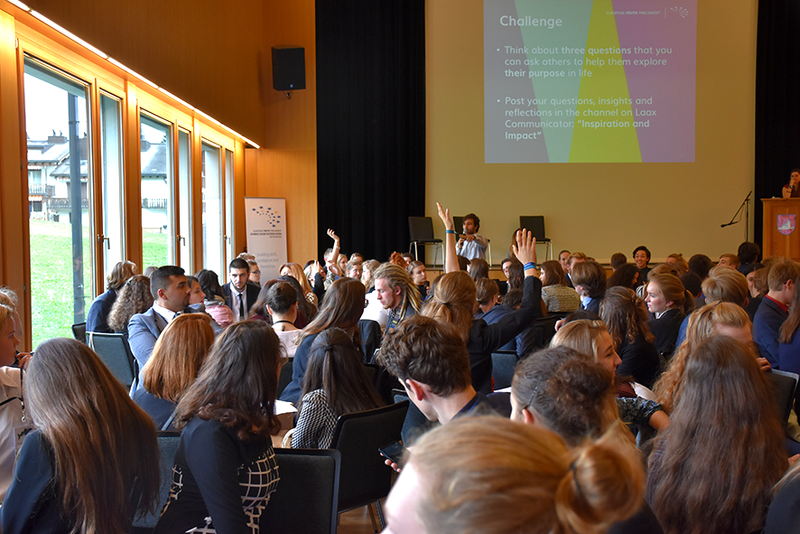 Two weeks ago, we had the chance to hold two workshops at the International Session of the European Youth Parliament in Laax: the so called “Forum Event” with a World Café for 300 young people from all over Europe and a 2 hours imp!act workshop with 30 participants. Moreover, we presented our programs at the “Ideas, Opportunity, Impact Fair (IOIF)”, together with other NGOs and organizations. Mahaut was part of the amazing organizing team and shares her personal insights on this 2-days-journey we did together. 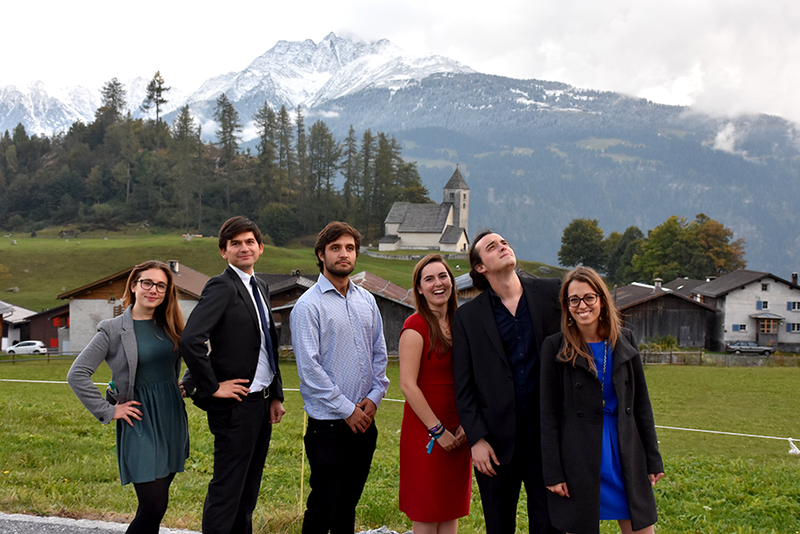 I joined Laax 2016, because every time I thought about this International Session of EYP, my heart started beating faster. I deeply felt inside of me that I had to be part of this. That something in me was connected to it. With a mixture of chance, passion and will, I started working with euforia on the projects of the Forum Event, the IOIF and the imp!act Workshop. I spent so many hours thinking about my personal purpose. I spent so many hours asking myself the question: Why do I want to put so much effort in it? I spent so many hours on skype, trying to link our purpose with the complicated reality. One of my main goals for the event was to help participants answer the question: What do you truly care about? During the imp!act workshop, we had the opportunity to think about our passions, our values and our strengths. We went deep into ourselves and discovered in each other much more than any of us thought was possible. I cannot express how privileged I feel for having shared a magical moment with all participants during that workshop. And for me, now it is done. The Forum Event went incredibly well. The IOIF was a success. The imp!act Workshop was a sublime moment. It is difficult to express my feelings now, after the event. A mixture of pride, relief and incredulity. For the past weeks, I truly experienced the power of purpose. Of will. Of listening. Of finding what you truly care about and giving it all you have. I hope that we all find our own purpose. That we take the time to reflect on the issues that deeply move us. That we dare to go beyond theoretical discussions and that we start acting.